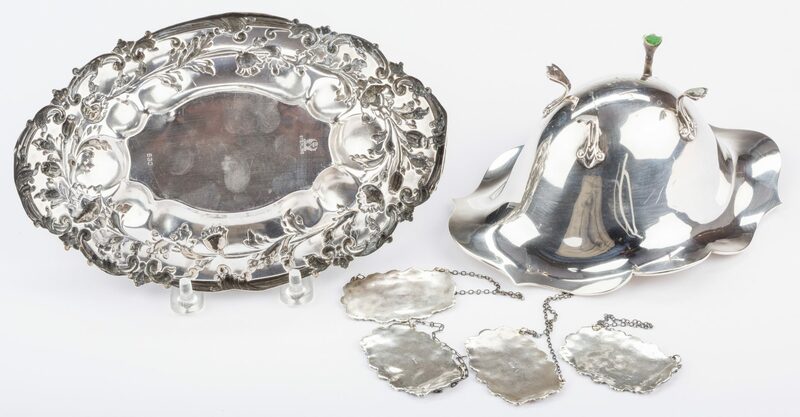 Six (6) sterling items. 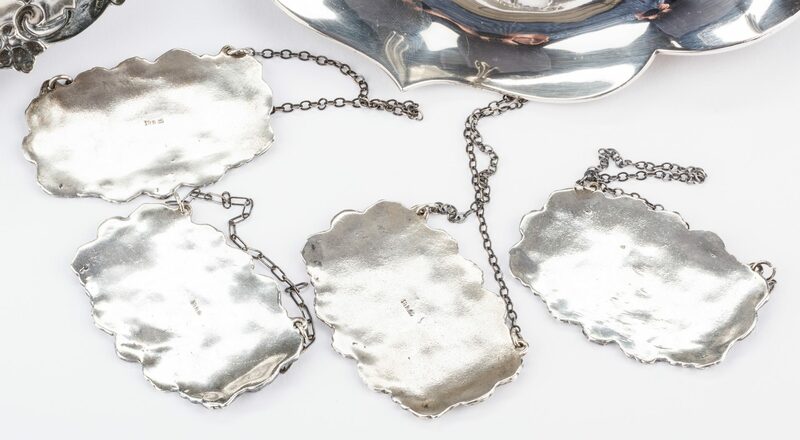 1st-4th items: Four (4) sterling Rococo style shell motif liquor labels, including Sherry, Whiskey, Bourbon and Vodka, all marked Sterling, en verso. 1 3/4" H x 2" W. 2.575 troy ounces. 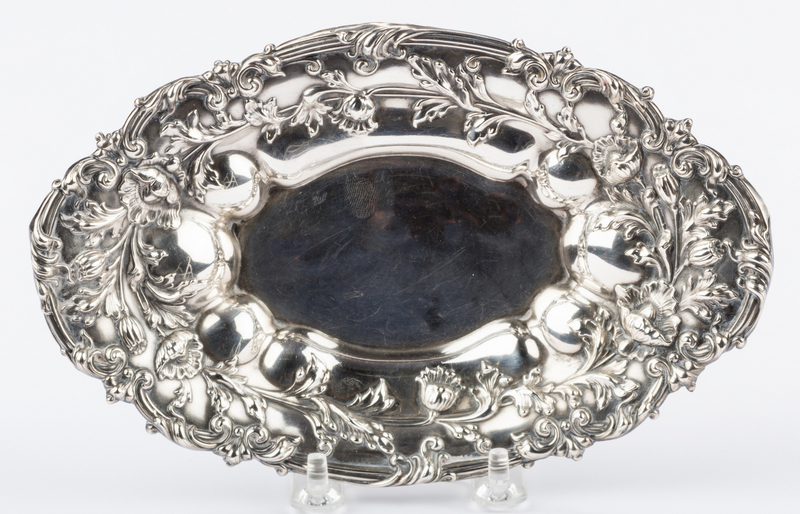 5th item: Towle sterling footed candy dish, #4894 S, with shaped fluted rim and oval body, all raised on tall paw feet. Base with Towle sterling mark. 3 1/4" H x 6 3/4" W. 5.720 troy ounces. 6th item: Meridian sterling nut dish, #530, with floral repousee border. Base with Meridian sterling mark. 8" x 5". 3.135 troy ounces. 11.42 total troy ounces. CONDITION: Labels very good condition. 5th item: Dent to underside of body near one leg, light surface scratching. 6th item: Pitting to center, light surface scratching.